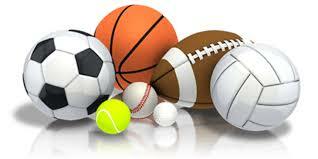 PLAY SPORTS WILL BE CELEBRATING IT'S 10TH YEAR WITH IT'S POPULAR MULTI-SPORT CAMP! ATHLETES HAVE THE OPPORTUNITY TO PARTICIPANT IN A VARIETY OF SPORTS SUCH AS SOCCER, FLAG FOOTBALL, LACROSSE, BALL HOCKEY, FLOOR BALL, BASKETBALL, BASEBALL, TRACK & FIELD AND MORE! ALONG WITH THESE HIGH INTENSITY SPORTS, KIDS WILL IMPROVE THEIR ATHLETIC SKILLS THROUGH FITNESS CIRCUITS WORKING ON CORDINATION, BALANCE, CORE STRENGTH, FLEXIBILITY, AND OTHER MOVEMENTS CRITICAL TO BUILDING THE COMPLETE ATHLETE! THE FOCUS OF THIS CAMP IS TO PLAY A LOT OF DIFFERENT SPORTS OR GAMES WHILE HAVING FUN AND CHALLENGING THEMSELVES TO DO THEIR VERY BEST! THIS CAMP GUARANTEES TO SEND YOUNG ATHLETES HOME TIRED BUT READY TO GET BACK ON THE FIELD THE VERY NEXT DAY! ALL ATHLETES WILL RECEIVE A WELCOME GIFT, ​DAILY TREAT & PIZZA LUNCH ON FRIDAY! ALONG WITH ATHLETIC CLOTHING, HAT, SUNSCREEN AND LOTS TO DRINK! **DISCOUNTS AVAILABLE FOR FAMILIES OR MULTIPLE WEEKS!